The California desert city is run by LGBT people. Middleton received about 31 percent of the vote and Holstege 30 percent, The Desert Sun reports. 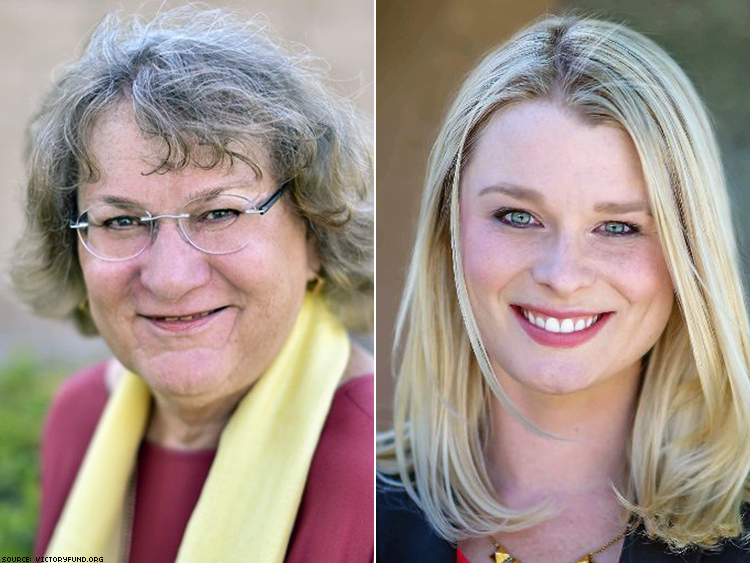 Palm Springs elects council members on a citywide, nonpartisan basis. “It’s all because of all of you that we are here tonight, celebrating a victory, a historic victory for our city and for our state,” Middleton told supporters Tuesday night, according to the Sun. Middleton, retired from the California State Compensation Insurance Fund, is a member of the Palm Springs Planning Commission and chairwoman of the Organized Neighborhoods of Palm Springs, and a member of the boards of directors of the Desert Horticulture Society and the Desert LGBTQ Center. In 2014 she was the center’s interim executive director. On the planning commission she has advocated for downtown renewal, increased use of solar energy, and cooperation between developers and neighborhoods. She is married to longtime partner Cheryl. Holstege is an attorney who focuses on assisting underserved communities in the area, including people with disabilities, LGBTQ people, homeless individuals, injured workers, personal injury victims, and victims of discrimination and violence. Both women were endorsed by Equality California and Victory Fund.